Check Out Our Dueling Dark Souls Let’s Plays! This is a very exciting month for me. For those of you that follow the blog and our Co-Op Critics podcast, you know we spotlight one game a month for the show. This month’s game is Dark Souls II: Scholar of the First Sin, and I could not be happier. I am a HUGE Souls games fan. I’ve put over 400 hours into the first three games, and I’m currently making my way through Bloodborne (in a Let’s Play series you can check out here). I’m also an evangelist for the games, so when Nick agreed to take the Souls plunge and play Dark Souls II, I was ecstatic. I’d played through once on the PS3, but with the Scholar of the First Sin edition, there are some changes that make the game challenging even for returning players. The other day I talked about the new Crackdown as the first of my top three E3 announcements. The next one on my list came from Sony’s E3 presentation, and it’s the thing I’m most excited about coming out of E3. Between the world and creature design, Bloodborne certainly has the markings of a From Software game. But watching the main character wielding a shotgun also says this is a pretty stark departure from what we know the Souls series to be. 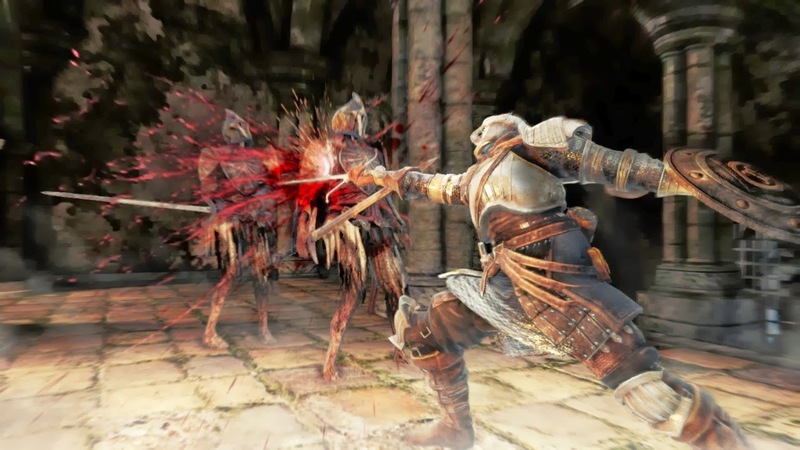 it was further confirmed that there are no shields in Bloodborne, so the emphasis is clearly on having more dynamic, fast-paced combat. 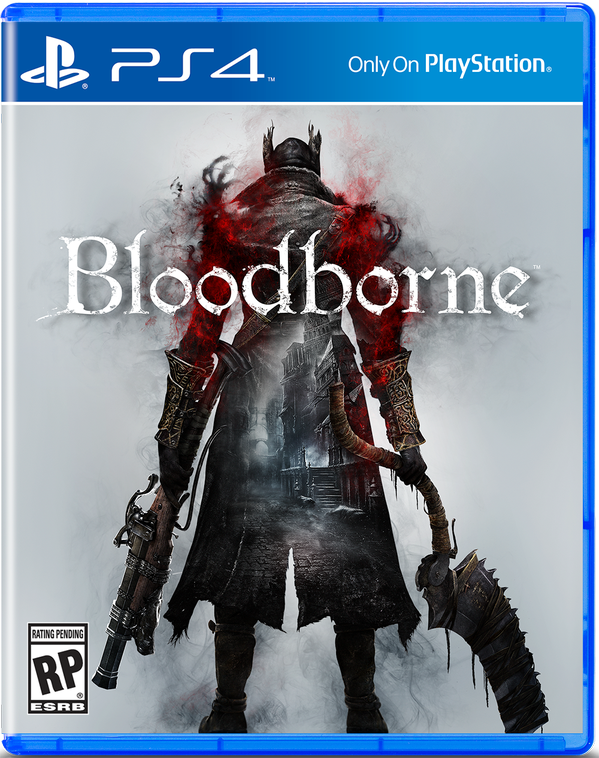 I know some may disappointed that Bloodborne isn’t more of a direct Demon’s Souls sequel, but I could not be more excited. As a horror fan, the world design is right up my alley. 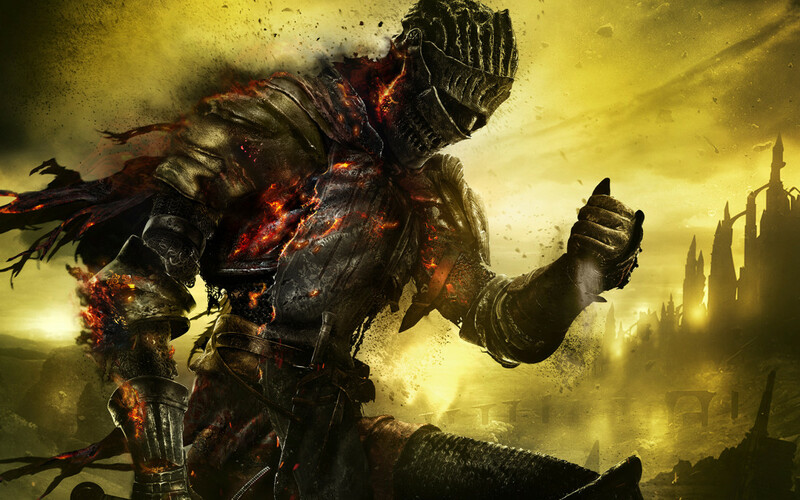 And as a fan of the Souls games, I’m still playing Dark Souls 2 and we know we’ll get more in that series moving forward. 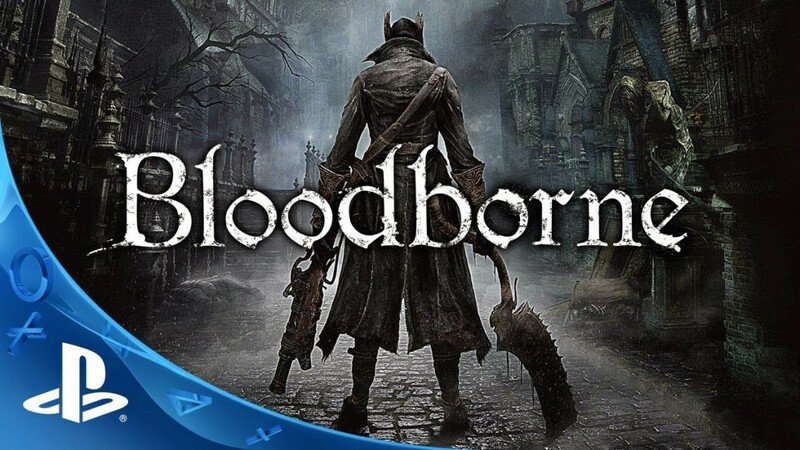 Having a sister series begin with Bloodborne would be awesome, and the game looks to be offering something that you can’t get in the current Souls games. I am VERY excited about this one. As I approach the 50-hour mark into my first playthrough of Dark Souls II, I’ve hit what I like to think of as “The Plateau.” My character is level 76, and I’m at a point where levels cost enough that I have to really think about where I’m spending my souls (the game’s currency). I’ve also unlocked the ability to really start upgrading some of my gear, which is also an investment that requires a lot of thought. It’s this point in the game where my character build really starts to come together. I’ve gone with a Hex build, which requires an investment both in Faith and Intelligence, as it’s a hybrid spellcasting class. So, my “go to” spells are getting set, and I’m zeroing in on the armor and weapons I will most likely use for the rest of the game. During this period, I do a lot of exploring, going back to areas I’ve already cleared and grabbing items I may have missed, as well as dropping my summon sign and letting people bring me in for co-op. While some players might feel like this part of the game is a grind, I really enjoy it. There aren’t the big and quick jumps in level like the early game, but that’s fine with me. “The Plateau” is where I really get to know my character, and ready myself for the push through the rest of the game. Peeve will be live streaming some of his playthrough over on Twitch TV at http://www.twitch.tv/peeve. I’ll be jumping in and starting a fresh playthrough, as I will take any excuse I can get to keep playing either of the Souls games. I finally got a chance to play Dark Souls II at New York Comic Con this past weekend, and my anticipation for this game is now at a fever pitch. The demo I played was the same one that was at TGS and SDCC, which featured the Mirror Knight as the area boss. The area begins at a bonfire and you quickly descend a ladder into what appears to be some sort of crypt or catacombs. While I didn’t get a ton of time with it, I found Dark Souls II to be a great blend of familiar and new. Basic movement combat and item selection was the same, so I had little trouble jumping in and navigating the game. Where I found things to be pleasantly different however, was in the enemy encounters. There are still plenty of enemies that you can take on one at a time, but Dark Souls II seems to take a more mixed approach in general. I found that most of my encounters involved two or more enemies, and frequently enemies of different types. Enemies also came from different directions, so I couldn’t take the same slow, plodding approach that most early playthroughs of Souls games required. The enemies were more cleverly designed as well, like the tortoise-armored brutes that would fall backwards on top of you if you tries to backstab them. Another great addition is the torch mechanic. 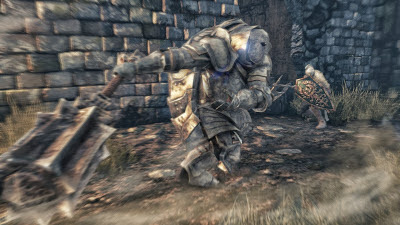 Dark Souls featured an area (Tomb of the Giants) where you needed to switch out your shield for a lantern in order to see (unless you had the Cast Light spell). 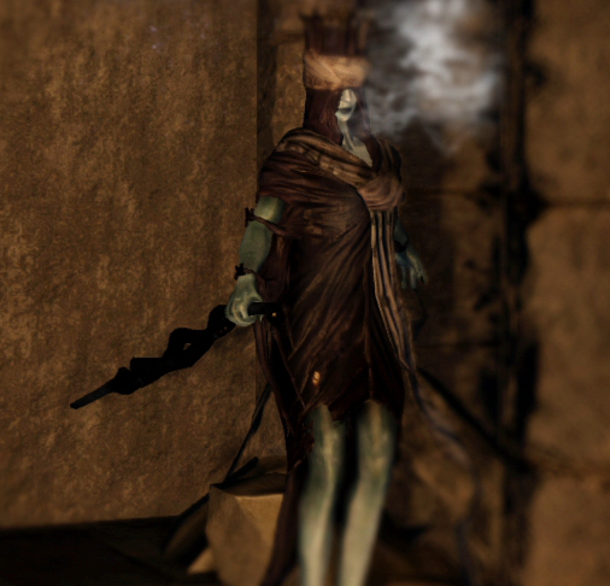 In Dark Souls II, you carry a torch that you can light in certain places, as there are areas that are completely dark. This seems to be much more of a core feature in Dark Souls II, so the choice of using the torch or going in blind with a shield will be one you have to make more often. It adds a new layer to encounters, which also adds more tension. Sadly, I didn’t make it to the Mirror Knight in my playthrough, as I had to step aside and let someone else play. 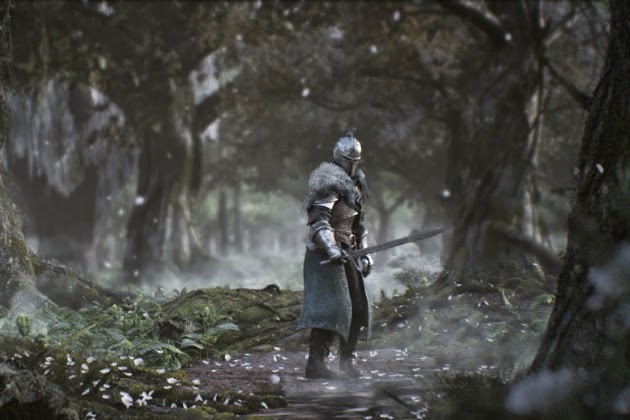 But, in my short time with Dark Souls II, it was clear that the game still has everything I’ve loved about the series, as well as a new level of complexity to deal with. I cannot wait to sink hundreds of hours into this one come March. Ahh, the Catacombs. An area of Dark Souls I previously hated, but have grown to love playing through them with my Faith build. I’ve spent more time in the Catacombs during this playthrough than with my previous two combined. For those unfamiliar, the Catacombs are a potentially frustrating area of Dark Souls because the skeletons that populate the area can reanimate if they are not killed with a divine weapon. There are necromancers (six of them, I believe) scattered throughout the level, and until they are killed, they keep bringing the skeletons in their area back to unlife. Those not playing divine characters often build divine weapons just to play through this part of the game. As a Faith build this time around, I looked forward to tackling the Catacombs with a character uniquely suited to them. By the time I made it to this area, I had upgraded my divine Claymore to +5 (halfway to max), and my Faith stat was in the low 30’s. So for the most part, I ripped through this area without much trouble, decimating dozens of skeletons along the way. Unlike previous playthroughs though, when I beat Pinwheel (the area boss), I didn’t just move on to the next area–I went back for some co-op. I ended up playing through the second half of the level several more times, helping people through. I also went back and forth through the area a few times, exploring it in a way I had never done before. With my Faith build, I felt like the Catacombs were almost made for me. It’s yet another reason why Dark Souls is a game that you should play through multiple times. Every approach gives you a new appreciation for the game world. Here’s a cool video by OreoYifu that features some good co-op in the Catacombs, including a few great invasions.